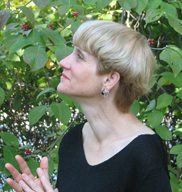 Heidi Jacob's CD "Beneath Winter's Light" released on January 13. On January 13 Associate Professor of Music Heidi Jacob had her first CD released "Beneath Winter's Light" featuring Barbara Govatos, violin; Charles Abramovic, piano; and the Momenta String Quartet. This CD was supported by a Composers Forum Subito Grant and produced by PARMA Records.